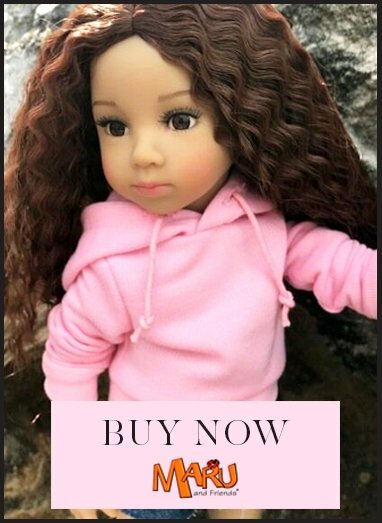 This reborn baby girl doll is realistic with her many little baby wrinkles and endearing face. she weighs almost the same as a real baby, stuffed with hollow glass and fibre micro-spheres. You must not submerge her in water. Only clean her with a soft damp cloth, touching the vinyl skin gently; never rub. Never use any other product. Her mohair rooted hair must only become wet with sprayed water diluted with a little hair conditioner. Use a brush that you would use with real babies.